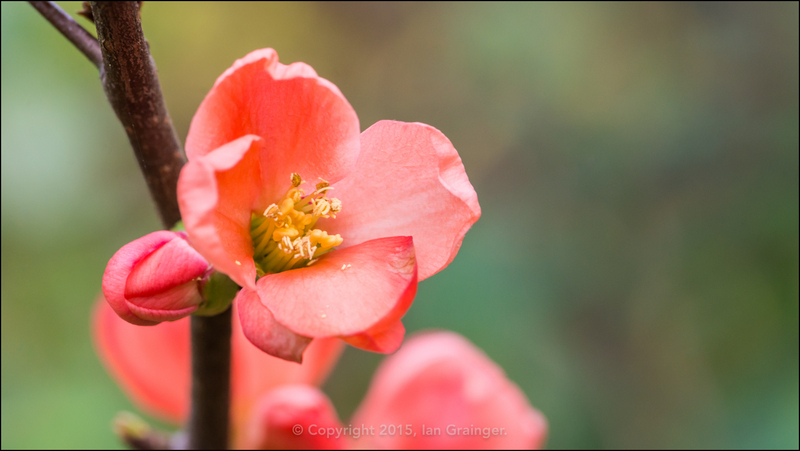 With the number of colours in the garden decreasing as winter draws nearer, I was quite surprised to find a quince bush full of blossom last weekend! The particular bush in question has already provided a small crop of fruits, and wouldn't normally be in flower again until next spring. I guess that the above average seasonal temperatures have triggered it into flowering early. And it's not the only plant being fooled! Some spring bulbs I planted a few weeks ago have started sprouting already, but they're not supposed to be around until sometime next February or March! However, while not completely expected, the lovely pink blossom of the quince bush does add a nice touch of colour to an otherwise empty looking border in the garden.